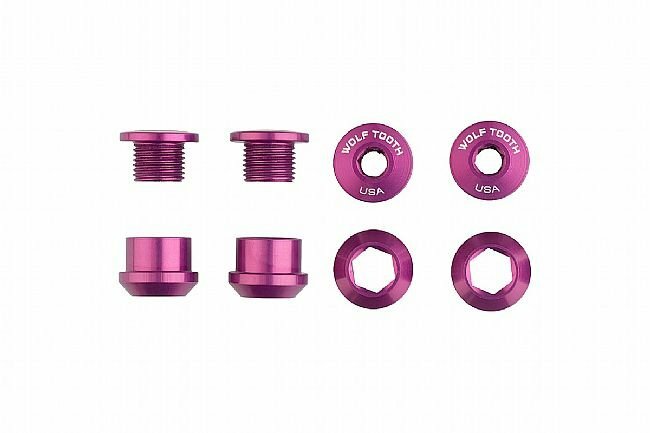 The Wolf Tooth Components Alloy Chainring Bolts are designed to be the best bolts that money can buy. 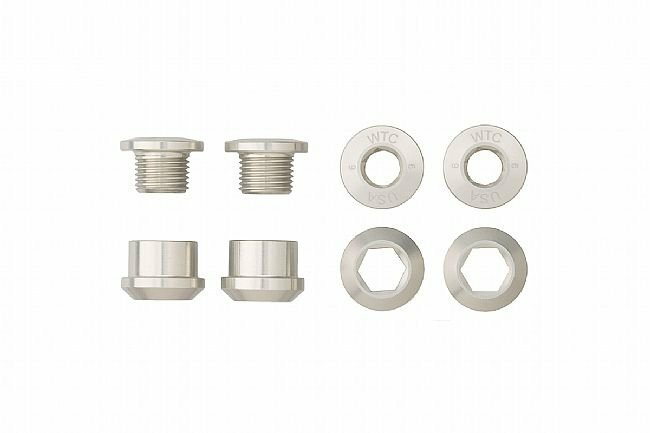 Featuring a lightweight and durable 7075-T6 aluminum construction, Wolf Tooth ingeniously designed the Bolts with a 4mm hex, and the Nuts with a 6mm hex making install and removal easier than ever. 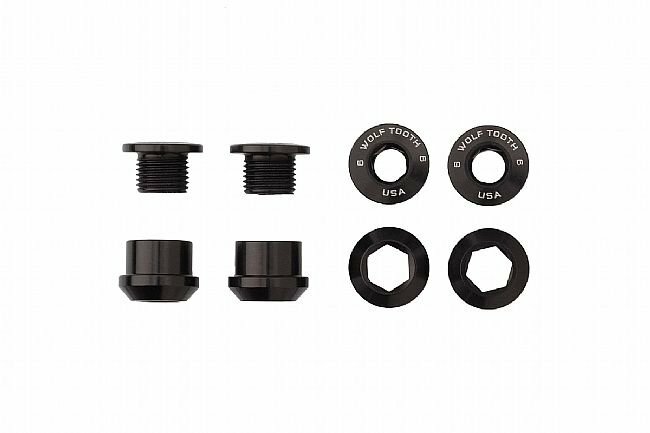 Set of 4 7075-T6 1x-optimized chainring bolts. Available in multiple colors to match any style. 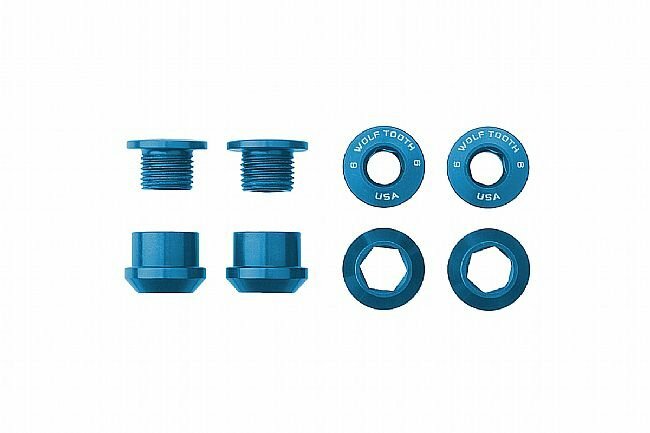 Designed with 4mm hex Bot and 6mm Nuts, simplifying installation or removal. 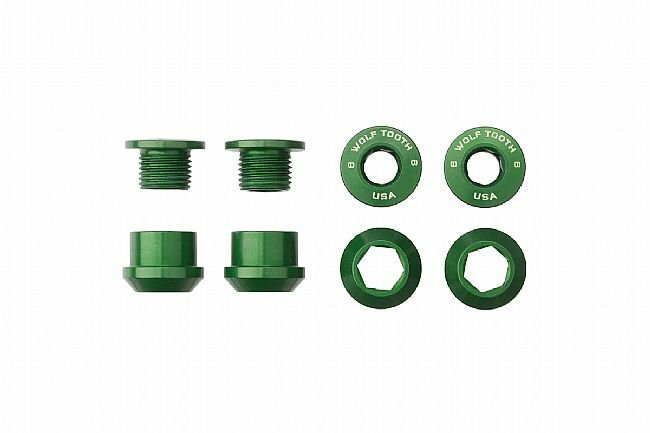 6-7 Nm torque with light grease on threads only. Claimed weight: 4 bolts = 8 grams. 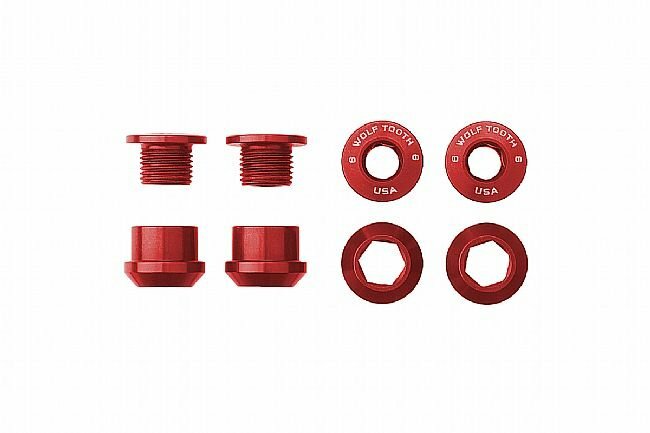 Available in 5 Bolt sets as well.